We have had several opportunities for growth at our house lately. Out of the blue last week Doop decided that he was going to learn to ride the girls' scooter. 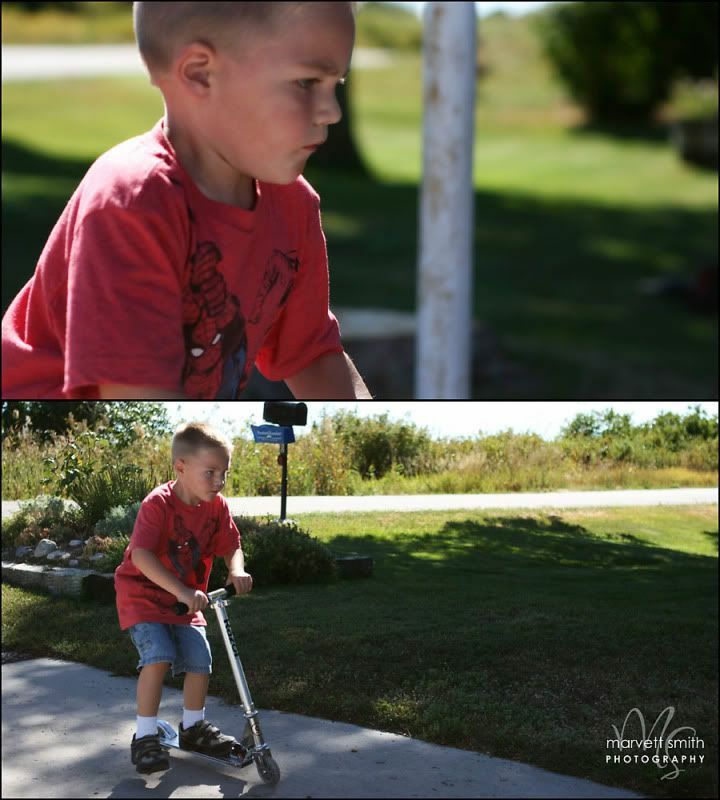 He took the scooter to the top of the driveway and proudly told me to "watch and learn". With a couple of pushes of the foot he was coasting down the hill, closing his eyes over the bump and physically doing what he had obviously been running through over and over in his mind. He was prepared and he was successful. Lou started out riding with him and encouraging him as he learned, but she became a bit reckless and crashed. She crashed hard. There were no tears though. In her quiet way she nursed her injury cleaning it up and resting on the sideline. I knew it really hurt because she no longer wanted to participate, but she took the opportunity to continue encouraging her brother and by the time the evening was over he was a pro. 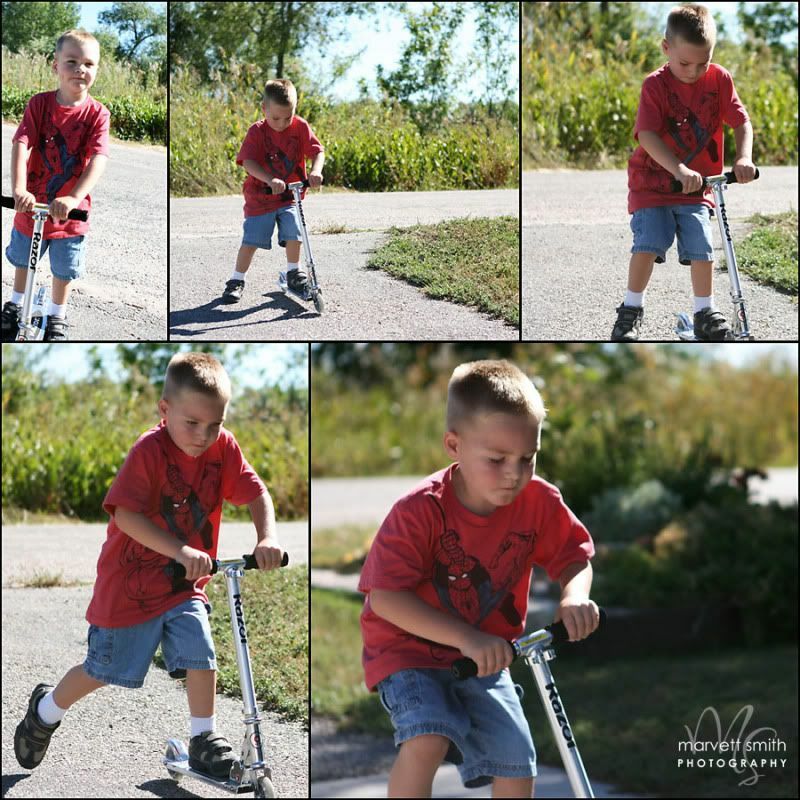 Several days later Doop started in on us to take his training wheels off of his bike. 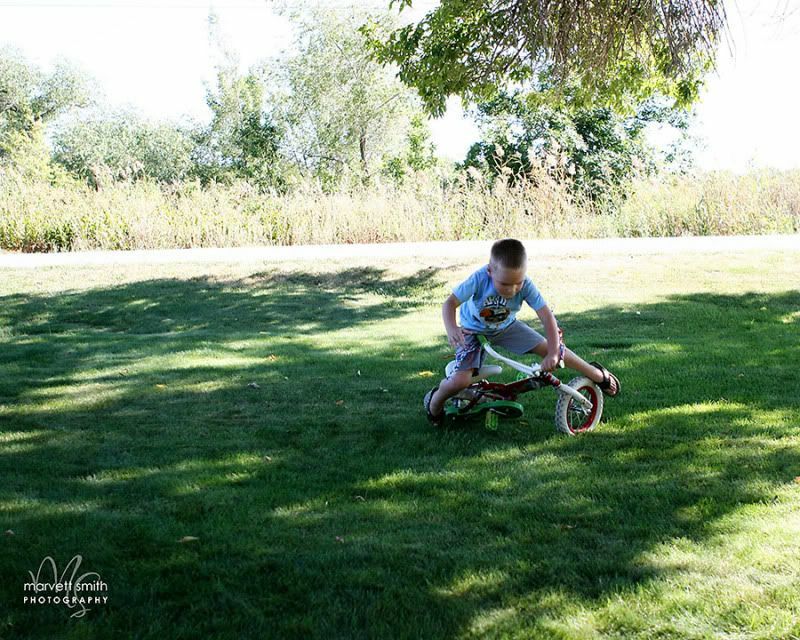 I kindly held him off telling him that when he was a little older we would for sure do that, but for now he should just learn to ride with his bike the way it was. He was determined though, and we finally gave in taking what I thought was a necessity off of his bike. Once again I could tell that he had mentally gone through the motions and within a matter of a few hours he was riding his bike on his own. Just like before he was successful, and just like before his sisters were on the sideline encouraging him to meet his goal. And then this happened. His first crash, and I must admit it was a rough one. The handle bars not only ended up in his stomach, but they took most of the skin off of the inside of his leg on the way. He cried. 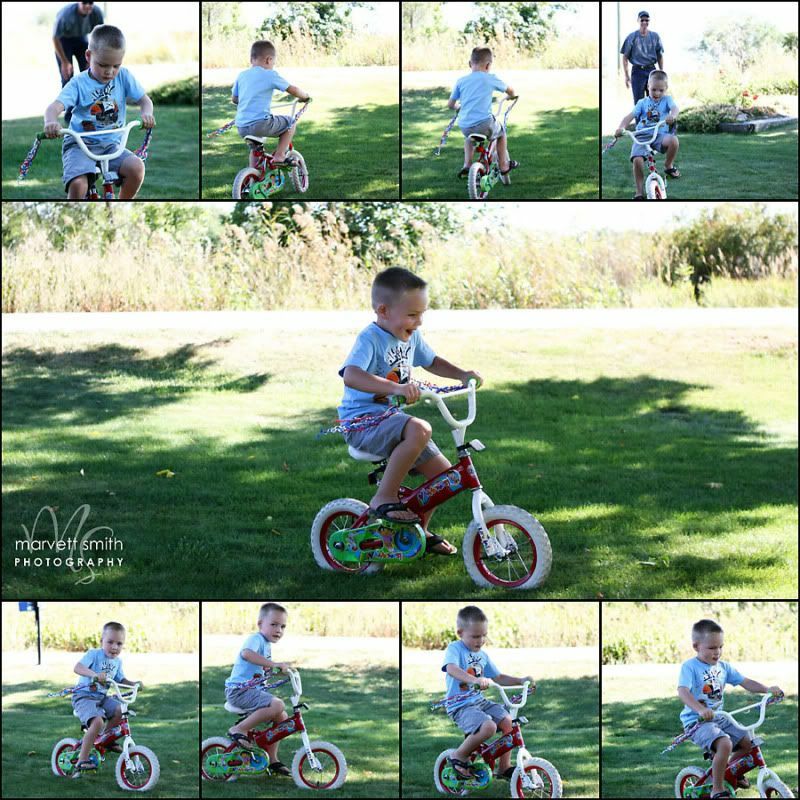 I thought for sure this would be the end of his bike riding for the day, but with the encouragement of his sisters and grandparents he got back on the bike. I was proud of him. Getting back on is hard. I know the feeling myself, and although it is such an important thing to do it can often times be one of the toughest at the same time. Watching him was good for me this week. Watching all of them has been good for me. Lately our house has become a house of learning. The girls have started back to school and they have loads of homework. Doop is growing leaps and bounds every day and he is learning to do hard things, and just a few weeks ago I started back in school myself. Crazy right? Like I have five more minutes in my day for one more thing, but I truly feel that this is the right direction for me to go. It may be bad timing with everything else I have going on, but for some silly reason I still think I can do it. 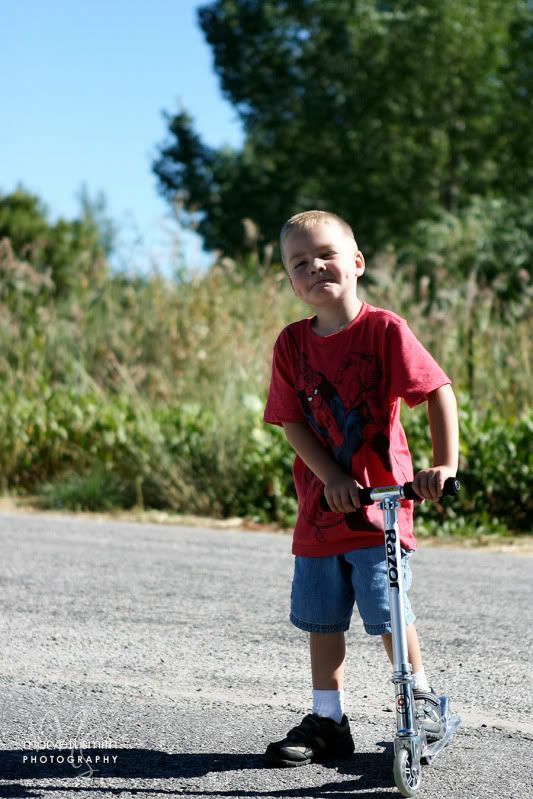 Kind of like Doop thinking he can ride a bike with no training wheels at his age. Who would have thought? In between watching the kids grow, helping them with their homework, working, and taking care of my other responsibilities I have been studying. I have talked about and thought about going back to school for quite some time now, but honestly didn't think I could handle one more thing. I am learning though. I am not only learning about muscles, and many things medical, but I am learning that just like Doop I can accomplish anything I set my mind to. I already knew this. I've done it before, but for some reason getting back on so to speak was much scarier this time than it has been in the past. I am getting it though, and I appreciate Doop's example for me this week. I will continue studying when I can because in the long run this path is where I need to be. It's one more thing I've learned and I trust that, and just like Doop I have received so much encouragement. So many people helping me to also meet my goal. It is such a powerful thing to have people believe in you and more so to believe in yourself. I must admit that I have enjoyed learning new things, and being reminded of things I once learned long ago. This is something I want to continue. 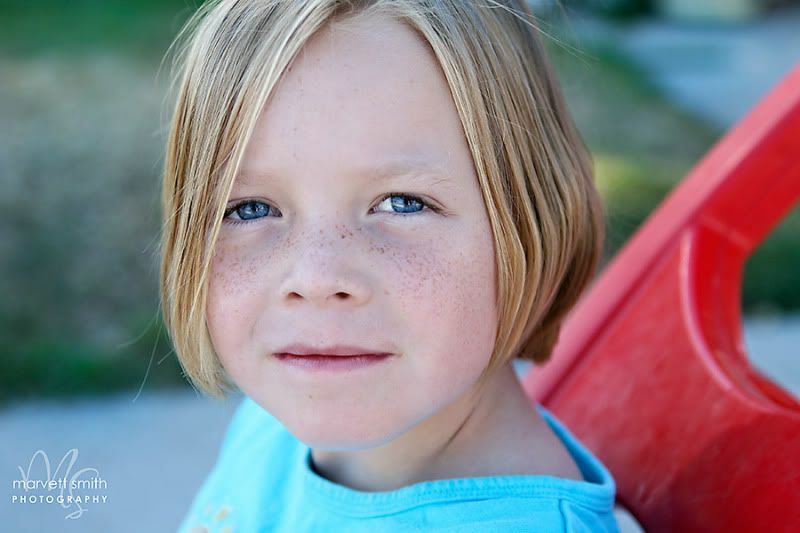 Learning more in school, studying my kids and the things they are learning, or my other favorite subject involving my camera. Learning is good.